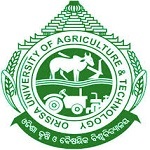 OUAT is also known as Orissa University of Agriculture & Technology. This is a university level entrance test organized every year for providing admission in various UG, PG, Ph.D. and other courses. Students will get admission in the fields of agriculture, horticulture, veterinary science and animal husbandry, agriculture engineering, etc. OUATentrance helps applicants for the UG, PG & Doctoral courses. Only the candidates who will successfully qualify this entrance test will get admission in the University and its affiliated colleges. The University offers courses in the field of agriculture, horticulture, veterinary science, animal husbandry, agriculture engineering and technology, fishery science, home science, and forestry. 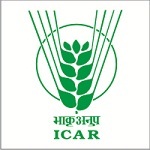 BSc (Ag), BSc (Forestry), BSc (Horticulture), B.Tech (Agriculture Eng. 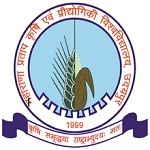 ), BFSC, B.Sc (Home Science). MSc (Maths), MSc (Chemistry), MSc (Botany), MSc (Physics), MSc (Zoology), MSc (Biotechnology), Ph.D. courses. The information about the important dates and events are as per below. The applicants can apply for QUAT entrance examination by filling the online form. The applicants who want to apply for the PG and D. courses can find the application form in offline mode. The application form can be filled from the 3rd week of February 2020. Candidates must upload passport size color photograph in the according to the specified format. Applicants who want to apply offline can download and print the application form through the official website of the University. The filled application form needs to be sent to “The Director, College of Basic Science & Humanities, OUAT, and Bhubaneswar-751003” before the last date. The applicants also need to submit the Form-B after appearing the entrance exam. The fee for the QUAT application is Rs.1000/- for all, and this can be paid through the SBI collect facility. The application fee will be Rs. 1100/- for PG courses and Rs. 1050 for UG courses. Online fee payment can be done through debit/credit card and net banking. Students can also make the fee payment in cash through Common Service Centre (Jana Seva Kendra). The eligibility criteria are different for each course. M.Sc. (Botany) Three years B.Sc. (with Honours/Core/Major in Botany) with minimum 50% marks (45% for SC/ST). M.Sc. (Chemistry) 3 years B.Sc. (with Honours/Core/Major in Chemistry) 50% marks (45% for SC/ST). M.Sc. (Mathematics) Three years B.Sc. (with Honours in Mathematics) / B.Sc. (Hons. )/Core/Major in Mathematics and computing with minimum 50% marks (45% for SC/ST). M.Sc. (Microbiology) 3 years B.Sc. (with Honours/Core/Major in Botany / Zoology /Microbiology / Biotechnology) / B.Sc. (Ag.) / B.V.Sc. & A.H / B.F.Sc./B.Sc.(Horticulture)/B.Tech. (Dairy Science/Biotechnology)/B.H.M.S with minimum 50% marks (45% for SC/ST). M.Sc. (Zoology) Three years B.Sc. (with Honours/Core/Major in Zoology) with minimum 50% marks (45% for SC/ST). M.Sc. (Biotechnology) Three years B.Sc. (with Honours/Core/Major in Biotechnology) with minimum 50% marks (45% for SC/ST). M.Sc. (Computer Science) Three years B.Sc. (with Honours/Core/Major in Computer Science) with minimum 50% marks (45% for SC/ST). Physics M.Sc. in Physics with minimum 55% marks. Chemistry M.Sc in Chemistry with minimum 55% marks. Mathematics M.Sc in Mathematics with minimum 55% marks. Botany M.Sc in Botany with minimum 55% marks. Zoology M.Sc in Zoology with minimum 55% marks. The information about the paper pattern is as per below. Subjects Covered: Physics, Chemistry, and Mathematics or Biology. Maximum Marks: For UG applicants the paper will be for total 200 marks & for PG & D. applicants the paper will be for total 100 marks which include 40 marks for objective type questions and 60 marks for short answer type questions. Medium: The medium of examination will be English. Duration: The time duration of the exam will be 2 hours. Type of Questions: The question paper will contains multiple choice questions. Marking Scheme: 1 mark will be awarded for the right answer. Before starting preparation, you should analyze the syllabus prescribed for the examination. Prepare a good time-table as per your daily schedule and include all the topics of the syllabus in your preparations. Refer the best preparation books and other study materials available in the market or on the internet. Mark all the important topics of the syllabus and prepare short notes and revise them at the end of preparations. Don’t take stress while preparing for the exam and take the healthy & nutritious diet. The syllabus consists of subjects like Physics, Chemistry and Mathematics/Biology similar to the HSC for UG courses. In regards to the other courses do refer to the website for the info. OUAT 2020 Syllabus will cover various topics from the subjects of Physics, Chemistry, and Mathematics or Biology. For the UG level, the questions will be from the 12th level and for PG courses, the syllabus will contain the topics from the relevant fields studied in graduate level. Candidates must check the complete syllabus online before starting the exam preparation. 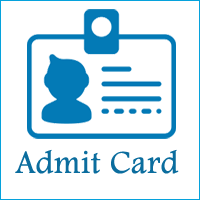 Admit card is also known as Hall ticket and will be released on the official portal.Candidates can download their OUAT 2020 Admit card through online mode. The admit card will be released in the second week of April 2020. Hall ticket will not be sent by post to the candidates. Applicants will be able to download the Admit card through online mode only. Applicants who are attaining exams are informed to carry valid Original admit cards with id proof if applicants didn’t bring, applicants will not be allowed to attain exams in the examination hall. Applicants who have successfully submitted their application can only download the admit cards. The release date for the results will be announced on the official website. Applicants will have to log in with their registration number to get their result. Results will be available on the official website a few days after the examination is completed. It is also advised to keep extra printed copies of the results as they will be required in future. The merit list will be prepared by candidate’s marks secured in the entrance exam. Only the candidates whose name will be present in the merit list will be called for the counseling. Applicants who score good marks and eligible for counseling. The applicants who have been selected for the counseling have to submit all original required documents. Applicants will be informed, and all the details regarding counseling will be available through the official website of the University. The applicants will be selected by the merit list. OUAT 2020 Counselling will be conducted in the 4th week of July 2020. After the announcement of the results, candidates have to fill the form – B for taking part in the counseling process. The filling of form-B will be released from the 2nd week of May 2020 to 3rd week of June 2020. As per the filled choices, merit list, category and seat availability, seats will be allotted to eligible candidates. Candidates have to report to their respective departments for further admission procedure. If you have any other questions about OUAT 2020, you can write your queries in the comments box below.